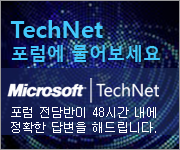 기본적으로 아래 7개 키에 대해서 복제하며 CLUSTER.EXE 명령을 사용하여 등록된 키값과 추가/삭제가 가능합니다. C:\> cluster res SQLSVR /addcheck: "SOFTWARE\Microsoft\Microsoft SQL Server\MSSQL10_50.MSSQLSERVER\MSSQLServer"
C:\> cluster res SQLSVR /addcheck: "SOFTWARE\Microsoft\Microsoft SQL Server\MSSQL10_50.MSSQLSERVER\Providers"
C:\> cluster res SQLSVR /addcheck: "SOFTWARE\Microsoft\Microsoft SQL Server\MSSQL10_50.MSSQLSERVER\SQLServerSCP"
C:\> cluster res SQLSVR /addcheck: "SOFTWARE\Microsoft\Microsoft SQL Server\MSSQL10_50.MSSQLSERVER\CPE"
C:\> cluster res SQLSVR /addcheck: "SOFTWARE\Microsoft\Microsoft SQL Server\MSSQL10_50.MSSQLSERVER\Cluster"
C:\> cluster res SQLSVR /addcheck: "SOFTWARE\Microsoft\Microsoft SQL Server\MSSQL10_50.MSSQLSERVER\SQLServerAgent"
C:\> cluster res "SQLSVR" /addcheck: "SOFTWARE\Microsoft\Microsoft SQL Server\MSSQL10_50.MSSQLSERVER\Replication"
*SQLSVR 은 INSTANCE 이름에 대한 예제입니다. 잘못된 키에 대한 삭제는/addcheck 대신 /removecheck 을 사용하시면 됩니다.